Please note that this solution is tailored specifically for my needs and, while your needs may vary, don’t worry, everything is on GitHub, so feel free to take what you need. I would like to add that this is not a “you’ve been using Docker with Magento2 wrong, this is how it’s done” kind of blog, I just want to share what I’m using and how. It may not be the best fit for you, but maybe you will find something useful. For almost 2 years I’ve been using Magento2 in Docker containers. I’ve been doing that before, but I must admit that it was because I had to, not because I’ve seen the light, I mean advantages. As you may know Magento2 is not exactly a small and light app, it’s quite heavy on the resources, especially during development. Light on resources: Compared to a VM, the container does not need to include the entire operating system, so it will not take a lot of space on disk and will not use a lot of processing power, because it’s not an entire OS doing… well… OS stuff, it’s just a server most of the time. First setup: harder to setup at first, if you have been using a VM for a long time, you will feel that you are going against the tide, but I assure you, in the long term it will be a lot simpler this way. Taking the above into consideration, I would like to say that when I’ve started with this setup I was using Linux with 8G of RAM. One of my colleagues even wished me good luck on installing Magento2 on a ultraportable 8Gb RAM system. He wasn’t even sarcastic, more like pitying me for my bad workstation selection. One of the requirements was that I needed some isolation and configuration between projects, I couldn’t just install a server and be done with it. Previously I’ve been using Vagrant and VirtualBox, a great fit, very easy to use (most of the time). However, for Magento2 I’ve realised that it was heavy enough on its own, it was making me run out of resources fast. Also, I wanted it to be easy to use, I don’t like to have to remember and type out a 3 word command, I just want to press some tabs and get it over with. xdebug – must work out of the box and be easily integrated with an IDE. Magento2 offered a Docker container to work with. I will not say anything about it, since it wasn’t at all something I needed. My main source of inspiration was: https://github.com/markoshust/docker-magento. The project changed a lot since I’ve started, so I definitely think you should check it out. docker-compose.yml – it contains all the mappings and relevant containers. NOTE: I think I should point out that the commands on the PHP container run in two ways, as the system user or as root. This is a limitation of the Linux implementation, please make a note of it, as I will refer to it later. It will take a bit of time the first time, but it will be a lot faster next time you run it. What is this dkc stuff? Well, I like to use tabs when running a command, so I added some aliases that allow me to run a Magento command without typing everything, I just type dkc[tab]p[tab]-[tab] and the command. I just love bash autocomplete. dkc-php-run – run a bash command inside the php container, like composer in the previous example. NOTE: This command is running as the system user, not as root. 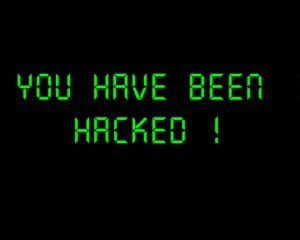 dkc-exec phpfpm [command] – this is same as above, but running as root. You should almost always use the command above. the command can be anything that applies to that container, like “bash” or “bash composer”, etc. I know the commands seem like “one more thing to learn”, but most of the time you will only use the first 4 commands. How does the magic work? Well, to see what the above commands translate to, just check the “dkc_short” file. https://github.com/claudiu-persoiu/magento2-docker-nginx – that contain the nginx server. The repositories are pretty small and not very hard to understand. If you need to modify anything, just feel free to fork the repositories. That’s about all you need to know about it, I’ve been using this setup for almost 2 years. For me, it’s working as a charm and I was able to use Magento2 on ultraportable laptop with 8Gb RAM without any issues. Don’t be fooled, this post is about programming, system architecture but mostly about using a heating system. If you don’t know how can you talk about programming without programming you should check out the “The Passionate Programmer” book by Chad Fowler, a great read. The Jazz stories from this book inspired me to write this blog. The story begins with a new apartment in an old building. Or at least it’s new to me. The building has its own heating system, very old and extremely inefficient. After a long consideration I’ve decided that it was time to install my own heating system and disconnect from the main building one. So far, nothing interesting, there are many people that do this, partly because of the added comfort and partly to optimize expenses. With this being said, I had a project and needed a developer. Or in other words, I had a heating system to build and I was in need of somebody to do it. I’ve asked around for that “good” developer. Like in anything else, there are a lot of people that come up with bad solutions. There are devs that make great offers but are unable to finish the project, or they write very bad code that is not scalable and even worst, unmaintainable. Since what I know about heating systems can be covered by anyone with the patience to google the subject for a couple of hours or so, I wanted somebody I could trust, so I was looking for the passionate kind of developer! I had a couple of recommendations. The first one told me that he had to put all the pipes close to the ceiling. After convincing him that I don’t want my house to look like a factory full of pipes he said that he will definitely need to replace one of the radiators (at least) because he could not fit a pipe behind it. 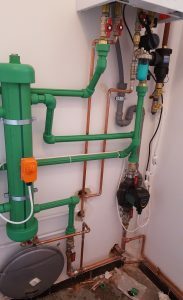 I could fit my palm behind that radiator, with this in mind I knew I wanted somebody that could fit a pipe behind my radiator. It was clear that he wasn’t a good developer. A good developer must work with the requirements, the very least a project should be able to respect most of the client requirements, if it doesn’t, there can be several explanations: he can’t because he doesn’t know how or he doesn’t want because he knows it’s hard and doesn’t want to go that extra mile. In some cases that’s not a tragedy, maybe it will be cheaper and faster, and in his case it was. Unfortunately for him, I aimed for quality. Then there was the passionate developer. He never mentioned anything about not being able to do something, it was always a cost and maybe a consequence. The deal with better developers is that they are more expensive and everything about them is expensive, they will want better servers for hosting, better tools and sometimes more time for things like testing and maintenance. In other words, sometimes the cost is bigger not just then, but also in the log run. A quality project takes time and money. If you never seen an apartment heating system before you should know that except for the pipes, nothing else is actually required. For instance: the pump on the lower right, it’s there just to force the water to move faster in the system. Think of it as Redis, it will have a good effect on your system but most systems will happily work without it. Of course, at some point there may be maintenance for that pump and can even result in issues, like this Magento 2 issue: https://github.com/magento/magento2/issues/10002. Every system has its own cost. The expansion tank in the lower left was unnecessary (in the sense that the system already has one built-in), but it’s not a bad idea to have an extra. Think of it as that extra storage space, ram or CPU that you don’t actually use. Your server should never go above certain server loads, that’s the expansion tank you should take into consideration. The water intake filter is like your firewall, you need it, it’s your protection, maybe most of the time will be useless but when there will be issues, then you will be glad you have it, because he will have filtered them out. The good thing with passionate developers is that other developers understand and appreciate their work. That is very important, no matter the industry of the “developer”. The only one that had anything to comment on the system was the ISCIR certified technician that initialized the heating system (ISCIR in Romania is a special authorization needed for this exact thing). You can tell that he wasn’t passionate, he just wanted to say something bad about it because he wanted to make a good impression on me. Unfortunately for him, he made some very stupid comments and then he made me a maintenance offer. This guy was the consultant, he didn’t do the project and he doesn’t want to work on it but he definitely wants to make some money on it without actually doing anything. I guess the conclusion is that no matter the developer, the quality and passion transcends the industry. I have recently passed the Zend Certified Engineer 2017, certification offered by Rogue Wave. While experience is the most important thing for a certification, books are the best way to expand your knowledge, in my opinion. Since a certification is something very specific, there aren’t a lot of books. Before we begin, keep in mind that the most exhaustive resource for learning PHP is the manual, always take a look on all the classes and functions available. I’ve bought this book just so I can review it and earn my right to have an opinion about it. 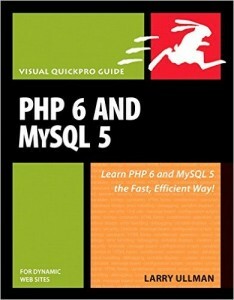 The study guide was introduced with the certification for PHP 5.3 and it was a free resource. The quality of the book has updated continually, but never by a lot and at some point it was no longer a free resource. Over time I kept hoping that it will become better and better, but it didn’t. It’s a short book with a big font and lots and lots of misspellings and errors. The only good part about it is that it has several questions for each chapter, other then that it’s not a very good resources and it’s not worth the $20, probably about $5 would be closer to a fair price since with every version they just update it a bit and adding the new features of the language. The questions don’t even seem to change a lot over time. So if it’s the only book you are going to buy, go for the next one. The book is exploring all the sections for the certification in more depth, it has over 300 pages. It feels more like a programming book and less like a guilde. The quality of the book is way better than the official guide, but that’s not hard at all considering that the guide set such a low bar. There are also questions on all the chapters which is a good way to practice your knowledge in an exam format. The questions just feel a bit more soft than the guide, the exam itself has a lot of very tricky questions. Of course this book is not exhaustive, you can’t really cover all the subjects in depth in a single book, and even if it did, then you would probably not have time to read it anyway. If you are going to buy a single book, I would recommend this one, since it’s an actual book, not a very high level (and low quality) guide. If you think that I’ve got the version wrong, well, what can I say? you are right! I wanted to add this book here because for me it was the best Study Guide. Over the years there were various study guides but this one I liked the most. 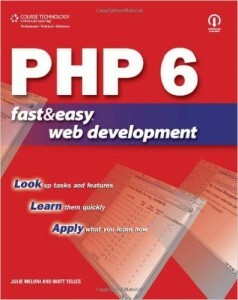 For the PHP 5 certification there wasn’t an official certification from Zend, only the first edition of this book. It was just a nice programming book to read. Sometimes, when I want to remember something that I haven’t used a lot, or at all, I will read the chapter in this book. 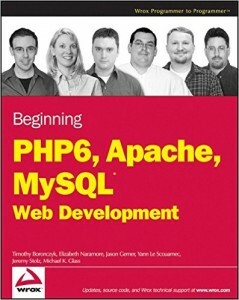 When I took the PHP 5.5 certification, (because I just had to collect them all) I was happy to find out that there is a new version of the book. It’s basically the same book but updated to cover the new certification. It may be that I like Davey Shafik’s style of writing. The book feels a bit more dense in terms of information, for me it just feels more like a study guide then the previous book. However this book does not have questions and is no longer up to date. 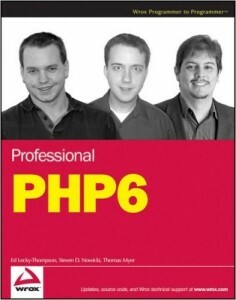 If you have the time you can give it a read anyway, I think it is a good general PHP book. Not a lot of books for this certification, but if I had to pick only one, it would be the “PHP 7 Zend Certification Study Guide” from Apress. Unfortunately there isn’t a lot of competition, because the “Zend PHP 5 Certification Study Guide, Third Edition” from PHP Arch is no longer up to date and the official guide just isn’t worth the $20 price tag. If your boss will buy the books, I say go all in! After all, the cost is: $20 + $19.99 + $22 = $61.99! Not bad for three programming books! Why is a language like PHP so popular? Why is it so easy to learn? First of all, it’s the syntax. It’s not the best syntax out there, the reason is actually that it’s the most popular! I knew most of the syntax before I even looked at a “hello world” example, why? I’ve studied C in school, and people coming from Java had the same feeling. Unlike (most) other languages listed above, it’s a lot easier to get started! You don’t have to create a main function, a class or anything else to get started, you just get down to it! The good part is that you can make it as complex as you want (or need) to, these days there are Java-like classes and interfaces, horizontal inheritance with traits, functional programming with closures and anonymous functions, generators and, if you really are a hipster, even goto. Now, there is an important detail that must be mentioned, PHP didn’t become popular because of the features mentioned above, but the features came to it because of its popularity, even “goto”. I don’t know why somebody would add goto to a language more than 10 years after its creation but that’s none of my business, nor is it important for the subject at hand. The language became really popular with versions 3 and 4. By the time a decent OOP model is introduced, it had already gained a lot of popularity! Now, especially more so since PHP 7 is looking a whole lot more like a decent programming language, but 10 years ago it wasn’t the same story. But node.js will probably surpass it! If you think about PHP, it has a major advantage and disadvantage, is very much as stateless as it can be. With PHP you feel like it doesn’t know anything about the world, you have to bootstrap everything all the time. The advantage is that if you have a memory leak, most of the time, it’s ok. The current user will finish and everything will get cleared and nobody will have to care. And PHP had a lot of memory leaks when it started to became very popular and nobody seemed to mind. When people started making cron jobs and other long running processes, this becomes a big issue and the need for features like explicit garbage collection became a must. That was added with version 5.3, which was released in 2009. Normally, continuous running should not be a disadvantage, so the moral of this story is that it’s not necessarily an advantage either. Nobody is going to build the next Google on it, but how about some blogs? Or even better, some shopping carts? It just doesn’t have what it takes for something like the Google search engine and that’s ok because it was just not designed for that. Another example for “not necessarily the best will win” is that WordPress is the most popular blogging platform. Even more, people are using WordPress for all kind of weird things, basically you can do anything with it! And you should not blame the people using it, it’s not like you look what’s in your microwave when you buy it, you just want to have a warm meal. People forcing the limit of WordPress are doing the same, they can do what they need, so there is no good reason not to. Should I ever use it? Let’s take a couple of positive examples: Yahoo! and Facebook. Yahoo! has been using it for a very long time on some of their products and in combination with other programming languages. Facebook has been using it since the beginning because it is so easy to learn. They have been pushing the limit of the language in several occasions with: HipHop for PHP and more recently Hack, which was a very important motivational drive and a big influence for PHP 7. Why all that trouble for a language? Because it’s just so easy to learn and use! Usually, it’s a lot more important to release “now” then to have something “perfect” later, especially on the world wide web. There is a very good reason why a language that is definitely not “the best”, but it is easy to learn is so popular online, while a programming language like C, which is way harder to learn, is more popular offline than online. In other words, while definitely not being the best, PHP is most of the time just good enough. 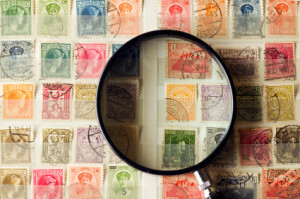 IT is probably one of the most dynamic fields in the job market and people are a very important yet limited resource. And yet people come and go quite often, and most of them are complaining about the lack of motivation. This problem will end now with this simple guide for motivating programmers and not only them! Programmers need challenging problems, they keep saying all the time that they need more challenges, don’t they? Give your coder a true challenge! Make him get specifications from a client that doesn’t know what he wants, let him struggle, you could even try leaving him do this by himself, let him feel the adrenaline of a true challenge! It must be noted that a programmer is nothing more than a repressed Project Manager, give him a chance to express! However, you should not stop with that, because there is no greater challenge than to work on multiple assignments at the same time. A good idea for raising complexity is to offer him the chance to work on multiple projects in parallel. Give him the opportunity to have his mind busy with different things, diversity is always good, isn’t it? A little secret for exploring diversity at its fullest is for him to have different roles on different projects, maybe have him alternate a project that requires management with one that requires maintenance. It’s a shame to not have enough diversity! Is he writing a lot of code? You have to do something about it! When a programmer is focused working on something, keep in mind that he’s actually desperately crying for attention. You have to do something to break this vicious circle, it’s your duty as a manager to save him! You have to find a way to interrupt him: try with a few meeting, they always help. If he is looking eager to get out of a meeting, it’s just a sign that he wants to get into the next one! In time, you’ll see that the better a developer is at writing code, the more he’ll wish not to have time for it anymore. However, he’s not going to tell you this, or, even if he does, it’s because he really doesn’t know what he truly desires. And eventually, if he likes to write code so much, maybe you should take it to the next level and get him to test it on his own. After all, if he wrote it, who would know better how to test it? There is one more thing to mention in the context of a challenge. When a programmer is coming to an interview, he will always say “I want to learn new things”. How do you apply in real life this desire? Simple, you have to make him work on something that he doesn’t know anything about! This way you will present him with something that’s at the same time new and challenging. Is he a PHP programmer? Good for him, now give him a Java project! Is he a Java programmer? Nothing could be simpler, give him something to do in Objective-C! Maybe sometimes it will be hard to find new technologies the are completely unfamiliar to him, but a programmer’s happiness is not an easy thing to obtain! Try not to fall in the trap of offering salaries that are correlated with the position he applied for. Don’t worry, the salary is confidential, nobody talks about it. Especially not when he recommends a friend, he will definitely not inquire about the salary that was offered to said friend, if confidential. It would be a lack of professional ethics to try to find out, you really don’t have to worry about it. And speaking of interviews, maybe you think that hiring processes should lead to meaningful results and qualified candidates. You couldn’t be more wrong, because what do you truly need? Like I’ve said before: Diversity! Not long ago I’ve read an article about some chinese companies hiring beautiful women to make the work environment more enjoyable and stimulating. You have to always find ways to integrate the new tendencies, and if the only open positions that you have are for technical jobs, you have to work with what you have. Maybe you think hiring based on looks can be problematic sometimes, especially when the jobs are technical. In this cases you have to realise that motivation has to be designed at a large scale. Yes, maybe some teams will require more time to adapt to this kind of new team members, however if that person has done something worth mentioning in any way, it means you’ve done a great job! Let’s not forget about trainings and conferences. When did you last talk with a programmer saying that he doesn’t want to go to trainings or specialised conferences? 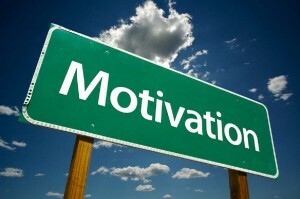 Motivation has to be maintained like any other desire. There are two components to it: wishing for something, and not least, not getting the something that is desired. If you wish for something it’s because you don’t have it yet, right? If you didn’t already understand, the solution is simple: don’t let him have the something that he wants, so that he will be perpetually motivated to work hard in order to get it. He wants a training? Organise the training then make sure you are sending there the persons that are the least interested in it. He will see that he has a chance, but it wasn’t his turn right now. Maybe this will sometimes be a challenge for management, but with a lot of carefulness it can be made possible! Keep the desire alive! Another advice in regards to trainings: to keep the desire alive it is useful to send him to trainings in which he isn’t interested, but in which somebody else is interested. This way you will always have employees interested in trainings and having trainings, and also motivated! When he is working he shouldn’t be able to see the usefulness of his work, it is very important. If he will see it, how can he be motivated still? It’s like climbing a mountain, no climber is motivated to go on if he knows how high he already is. You must be careful not to let him know where he is standing: keep those statistics and progress reports well hidden, because if he gets to have a feeling of ending, of target reached, of goal achieved, how would it be a true challenge then? And don’t forget to not show him trust, he must build it for himself. You should provide him with a target and then keep it just a target. Indeed, a target achieved provokes pleasure and the satisfaction of a job well done, but is that what you want to show? Think about it, each time you congratulate him for his work will he be more motivated? Why try to stimulate him to improve when you can stimulate him to reach a target that he can’t. Don’t show him you trust him, let him struggle, let him feel the challenge. In Romania we have a saying: “the known road is the shortest”. Regardless, some try to automate rudimentary tasks. Basically they are trying to eliminate the known road. Actually, if you prevent him from automating processes you are helping him remain busy, to have a busy mind, and a busy mind is an active mind! And, secondly, with this approach you are helping him maintain his work place. Maybe he doesn’t realise it, but he will lose his purpose when he will remove exactly the tasks which, eventually, he knew so well, because he made them so many times… Programmer or not, he mustn’t be replaced by a robot! Thirdly, it’s the satisfaction you get of walking the known road – don’t let him divert from it, because, it’s so well known that it should be finished quickly enough. And never forget that you must teach him the importance of management. He must see that you can help him, that you are the key to his success and happiness. To show this it is very important to trust yourself. Try to organise a party and don’t invite him. Nothing says more “I could’ve been there” than not being there. Another way is to organise a business trip in an exotic location. Don’t worry, it’s not important to actually have something to do there. While you’re there, don’t forget to have fun, it is very important for him to know that you’re enjoying yourself. When it gets though, you have to remember that you’re not doing this for you, you are doing your best to have fun for his and his imagination’s benefit! Maybe some suggestions will not work for everybody, but you have to combine as many of them as possible to have a real success and keep your programmers truly motivated! Don’t try to identify this utopian world, because any resemblance with the daily reality is purely coincidental. 20 years ago, Rasmus Lerdorf announced a new tool called PHP. My first encounter with PHP was in 2004, eager to make my HTML pages more dynamic. Somebody recommended PHP because it was very easy to use. Because the installation seemed pretty complicated, I’ve used PHP Triad. In a few minutes I was ready to begin my experiments and I was fascinated by the instant feedback. Back then, I was a student and my courses were based on Pascal and C/C++. I didn’t like Pascal because it was already outdated and C had a very complicated memory management system and instead of concentrating on the logical thinking I had to focus on allocating resources. This new language, to me, had a syntax similar to C, but without the headache of resource management. Eliminating this impediment, I got to develop my logical thinking and even to become a better overall programmer, not only in PHP. 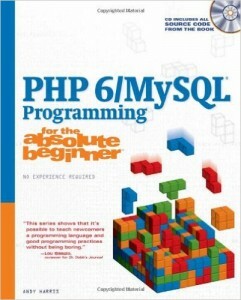 In that period, PHP wasn’t considered by many a “serious” programming language, more like one for beginners. At one of my first interviews, the employer told me on a nagging tone: “PHP is a toy, join us and you’ll learn real programming and something serious, like FoxPro!”. That was one of the moments that made me decide to become a PHP programmer. 11 years later, I can still say that PHP is the language closest to my heart, and I probably wouldn’t have had a career as a programmer without it. What was your first interaction with PHP? The year has just started and a new PHP version is preparing for release. At the time when I’m writing this blog, it is in alpha 2. It can be downloaded from here: snaps.php.net. There is a series of interesting features, but today I’ll approach only 3 of them: constant scalar expressions, variadic functions and arguments unpacking. This first feature is also the only one that didn’t have an equivalent before this version. And, when I say equivalent, I mean only for classes. The bad part is that this type of constants are not available for a class, because for a class only const can be used. Basically, we can set dynamically a value for a class constant! For instance, you can set like this in a constant the environment type for the user, dev or prod. This is the feature that I like the most, even though there is an equivalent for it in the older versions. 2. func_get_args can be called anywhere in the function. If it’s on the first line, the purpose will be obvious, if it’s on line 20, it’s hard to spot and may generate confusion. An alternative is to add a number of parameters, but this is not a good indication of the varying behavior. In this new version, it’s clear what is happening with the function parameters. You don’t have to figure out if and how many parameters the function can take, it is clear that the number varies! Usually, when I’m looking for a function, I look for the definition in the IDE before checking out the documentation, especially when there is little or no documentation. The problem that is approached here is: there is a function with multiple parameters and they are sent in a dynamic fashion. Even though it’s not something that couldn’t be done in the previous versions, now it’s more elegant. I think with these small changes, PHP is making the transition from “the PHP way” to “the best way”, taking from other languages.